InstantGMP™ Vape is a manufacturing software that can be used to produce e-liquids and vape products using the best of Good Manufacturing Practices (GMP). The GMP requirements and workflows are built into the application to make GMP compliance easy. The Master Batch Records (recipes) can be scaled up or down at the click of a button to make different size batches of the same recipe. E-Liquid manufacturers who create their own recipes on Excel spreadsheets can attach their file to the Master Batch Records to make them readily accessible when a Batch Production Record is generated from the Master. 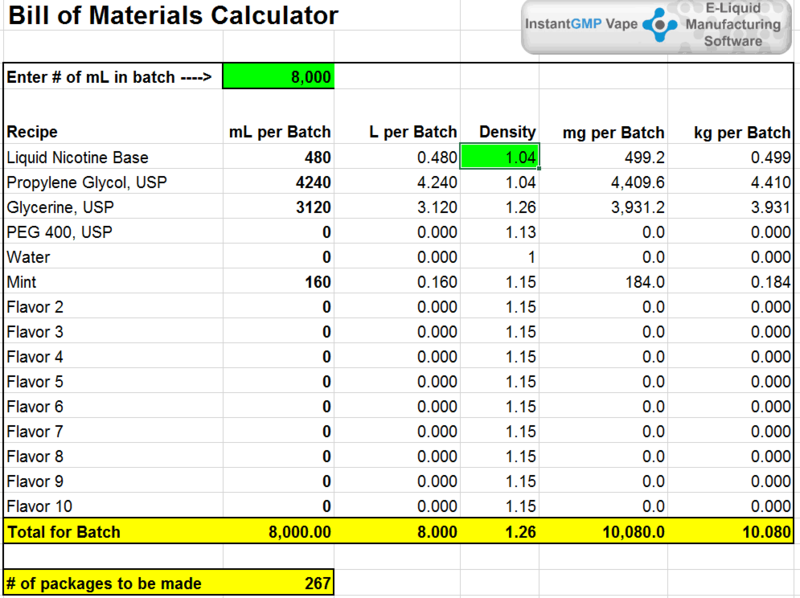 InstantGMP™ offers the free recipe calculator below for manufacturers who want to use it with our without the software.